On the menu to the left, click on the Mail tab. 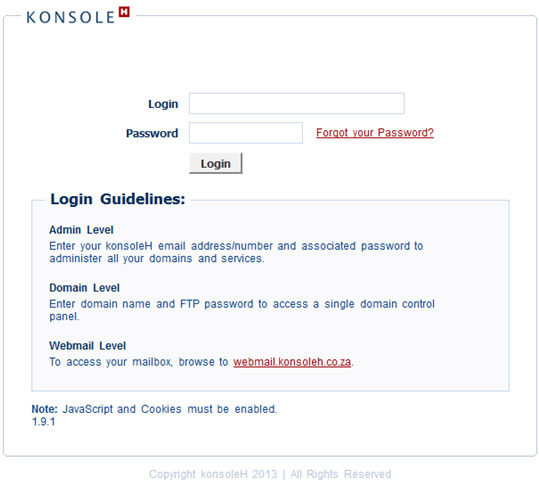 Then, click on the Manage Accounts link. On the top right, you will see a link, “New Mailbox”. Click on that. Only enter the ‘firstname’ part of the email address. Enter the same password in both of the password fields. Remember, when setting up the password for a mailbox, ensure that it uses a mixture of capital letters, lowercase letters, numbers and special symbols. Click on the ‘Add’ link on the top right. A new mailbox is now added to your domain. Your Outgoing (SMTP) Server is used for sending emails. Your internet service provider (ISP) will supply you with the server name. Go the email address you want to change the password for and click the Edit link next to it. In the 1st Password field, type in the new password. Re-enter the new password in the 2nd password field. NB:!! Remember, when setting up the password for an email address, ensure that it uses a mixture of capital letters, lowercase letters, numbers and special symbols. Click on the Save link on the top right in order to save the new password. You will now have to change the settings in your Outlook email program, with the new password. Go the email address you want to delete and click the Delete link next to it. NB:!! 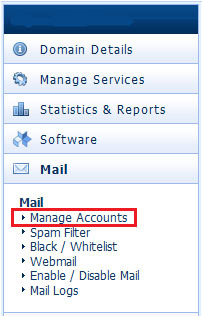 Once you delete the mailbox, you will no longer have access to the emails for that email address. Go the email address you want to setup a forwarder on and click the ‘Edit’ link next to it. 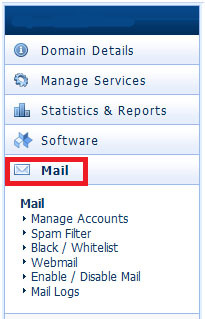 Type in the email address the current mailbox should forward to. Turn the feature on by clicking the arrow next to ‘Autoreply’ and select On. In the pane, next to Text, type in the automatic message that must automatically be sent back to the sender. Then, click on the Save button to save the automatic reply. To disable the Autoreply feature, click the arrow next to ‘Autoreply’ and select Off.